Clay Epstein's Film Mode Entertainment is thrilled to unveil a first look at a range of films to entice buyers at EFM, including the World Market Premieres of two feature films from Jordan Yale Levine and Jordan Beckerman's Yale Productions; the exhilarating crime-thriller, CRYPTO and the new thriller, BURN. "We are thrilled to bring this stellar line-up of films to EFM and to be able to show two of our most highly anticipated films to buyers in Berlin." Said Epstein. "Film Mode Entertainment has quickly developed a reputation for our roster of commercially viable films that appeal to the global marketplace, as well as films that raise the genre bar to the next level." CRYPTO stars BEAU KNAPP (SEVEN SECONDS, THE NICE GUYS), ALEXIS BLEDEL(THE HANDMAID'S TALE, GILMORE GIRLS), KURT RUSSELL (THE HATEFUL EIGHT), LUKE HEMSWORTH(WESTWORLD), JEREMIE HARRIS(LEGION) and VINCENT KARTHEISER (MAD MEN). In this financial crime-thriller meets crime drama feature, CRYPTO follows a young anti-money laundering agent (Knapp) tasked with investigating a tangled web of corruption and fraud in his remote New York hometown, where his father (Russell) and brother (Hemsworth) are struggling to maintain their family farm in a changing economic landscape. Details on screenings will be forthcoming. BURN,starring TILDA COBHAM-HERVEY, JOSH HUTCHERSON andSUKI WATERHOUSE isan exhilarating thrillerfull of unexpected twists and turns. The film features a talented trio of young, talented, award-winning actors, and is set to captivate audiences across the global marketplace. Details on BURN screenings will be forthcoming. The thriller marks the feature debut for writer-director Mike Gan andstars TILDA COBHAM-HERVEY (Sundance award-winner 52 TUESDAYS, HOTEL MUMBAIwith Armie Hammer, Dev Patel and Jason Isaacs, THE KETTERING INDICENT which won an AACTA for Best-Miniseries), JOSH HUTCHERSON (THE HUNGER GAMESfranchise,THE DISASTER ARTIST) and SUKI WATERHOUSE (ASSASSINATION NATION, BAD BATCH). BURN follows a lonely, unstable gas station attendant Melinda (COBHAM-HERVEY) who constantly feels overshadowed by her more outgoing co-worker Sheila (WATERHOUSE). When the gas station they work at is held at gunpoint by Billy (HUTCHERSON), a desperate man in need of quick cash, the heist goes terribly wrong and Melinda comes up with a way to make a connection with the robber, regardless of who gets hurt. Film Mode Entertainment is excited to introduce even more commercially viable films that remain true to their artistic integrity, and highly sought after genre-films to fill holes in the ever-changing marketplace. Screen Media announced a partnership with Film Mode Entertainment (FME) under which FME will begin representing its foreign sales slate. The pact will commence at this week's European Film Market in Berlin, where Film Mode will handle sales of Screen Media's line up, including recent titlesSTRAY, A VERY NUTTY CHRISTMAS and festival favorite YOU MIGHT BE THE KILLER. In addition, Film Mode will engage buyers on Screen's robust catalog, which features more than 600 titles. "Screen Media has been looking for new strategic partnerships as we begin to aggressively grow our business," said Screen Media President David Fannon. "Partnering with Film Mode not only allows us to work with a top-notch sales company and maximize our foreign presence, but we can now actively pursue more worldwide acquisition and co-production opportunities." "We're delighted to be working more closely with the Screen Media team," said Film Mode President Clay Epstein. "They have an excellent track record in distribution and a valuable catalogue we are excited to represent. This provides a competitive advantage in the marketplace, enabling us to better service our clients and producers." Screen Media, acquired in 2017 by Chicken Soup for the Soul Entertainment, has been a mainstay in the independent media space for almost two decades. Domestically, the company will be releasing Terry Gilliam's long-awaited The Man Who Killed Don Quixotein April. Past titles include Bel Canto, starring Julianne Moore and directed by Paul Weitz, Stephen King's A Good Marriage, Ride, written and directed by - and starring - Helen Hunt, and The Private Lives of Pippa Lee, written and directed by Rebecca Miller. Among the many notable titles in Screen's library are Monster, starring Charlize Theron and Cristina Ricci, What's Eating Gilbert Grape, starring Johnny Depp and Leonardo DiCaprio and The Upside of Anger, starring Kevin Costner and Joan Allen. Film Mode, founded in 2016, has become a major player in the foreign sales market, with recent successes that include The Good Neighborstarring Academy Award nominee James Caan and Gangster Landstarring Milo Gibson and Jason Patric. 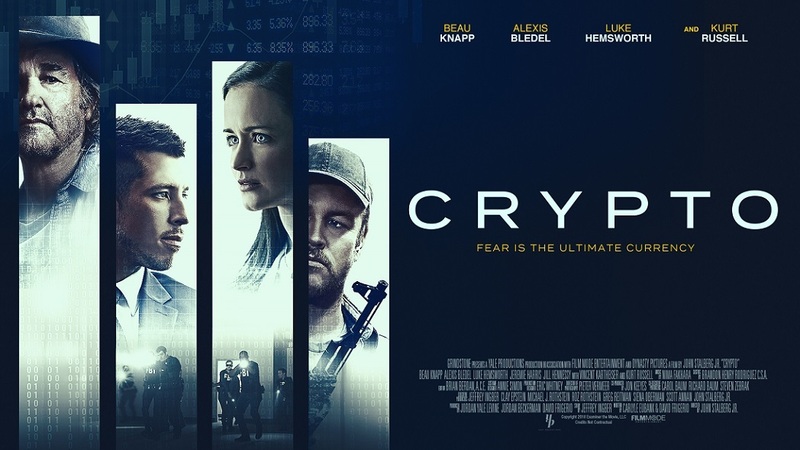 Upcoming releases include Crypto starring Beau Knapp, Alexis Bledel and Kurt Russell, the anticipated remake of David Cronenberg's Rabiddirected by the Soska Sisters, andStage Mother starring Academy Award nominee, Jackie Weaver, Lucy Liu and Adrian Grenier. Screen Media and Film Mode previously collaborated on the commercial successSugar Mountain, a 2016 thriller starring Jason Momoa, Cary Elwes and Anna Hutchison.